Help Wright House be a True Home for our Fraternity and Sorority Members. The Greek community at Carroll University has a rich history of fostering growth for its members, the university and surrounding community. 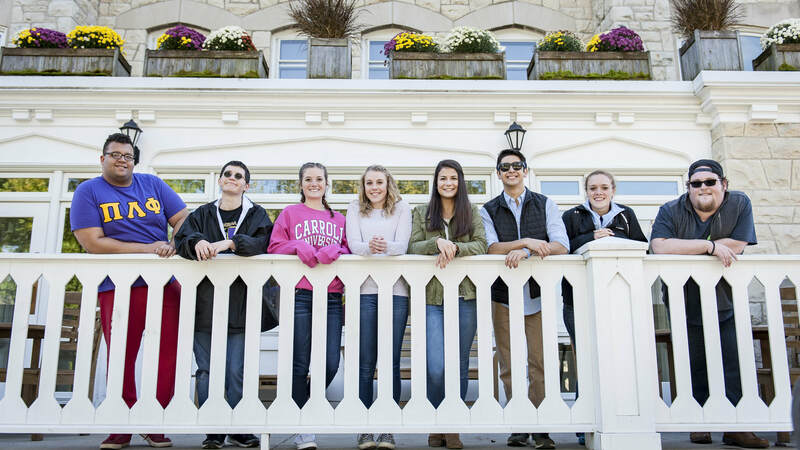 For more than 100 years, the fraternities and sororities at Carroll University have continued to uphold the the ideals of scholarship, leadership, community service and friendship. Wright House is designated as the fraternity and sorority office, programming, and meeting space on campus. The historic house provides an office suite on the second floor for each chapter to decorate and use as a hang out area, for small meetings, and for recruitment. The first floor consists of a computer work area, conference room, kitchen/dining area, and a lounge. Wright House is used by our chapters, Panhellenic Council, Interfraternity Council, Greek Activities Panel, and Greek student staff members on a daily basis and is the hub of community-wide events. But Wright House needs your help. As you can see from the video, our kitchen appliances are old and not energy efficient. The lounge feels cold and not homey. 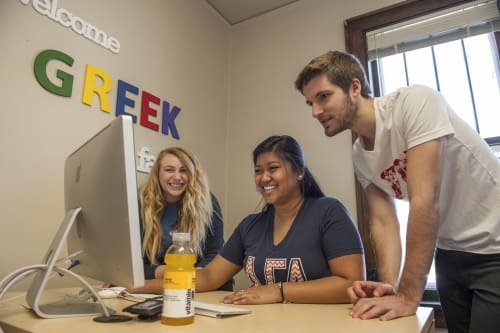 When we asked our fraternity and sorority members what could be improved about Greek Life, time after time members say they would like to increase the casual use of Wright House by making it feel more comfortable and welcoming. You can help us do this--money raised from this project will be used to invest in new appliances for the kitchen and new furniture and accessories for the lounge. We have some big plans for kitchen upgrades, and this is just the beginning of creating that home away from home for our members. 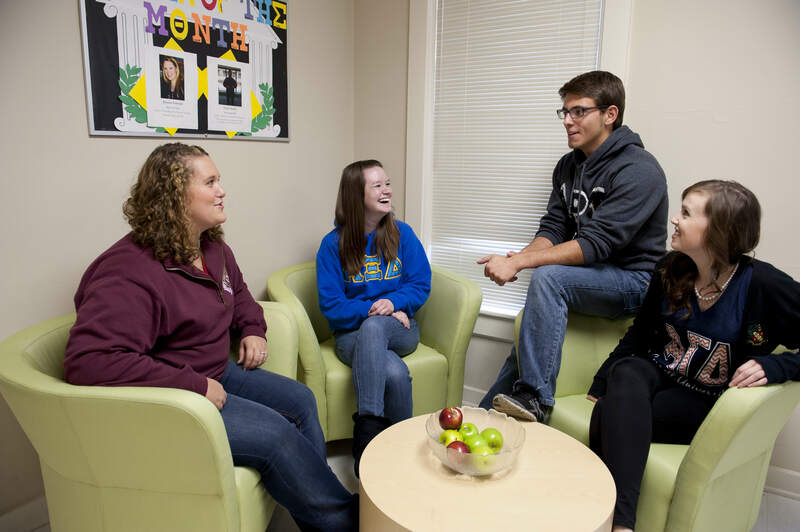 Your gifts will create a warm and welcoming environment on the first floor of Wright House. A more welcoming Wright House will mean more people will use the space and increase Greek Unity for our community. With funds raised, we will purchase a new cooktop stove and oven, a new refrigerator with water filtration system, cookware, and counter-top appliances. In addition, we will purchase new and more lounge furniture, table games, and accessories to make the space warm and welcoming. If you are a fraternity or sorority member or alumnus, you know how impactful your membership has been on your life. You gained irreplaceble experinces, best friends, and so many fond memories. You built relationships and gained knowledge and skills that have benefited you in your career. You can help others experience those same things by helping us make Wright House the center of fraternity/sorority life. Parents, family, and friends of the Greek Community- ask a member about why this is important to them and what their fraternity/sorority experience has meant to them. You can be a part of something that makes a lasting impact on their life. Your gift—no matter the amount—will go toward making a big impact on our everyday lives. Your donation could purchase cookware for the kitchen or accessories for the lounge. Your donation could help purchase counter-top appliances for the kitchen. Your donation could help spruce up the lounge with fun and welcoming decor. Make a $10 donation for each of our 5 chapters. Make a donation for the more than 100 years of fraternity and sorority life at Carroll University. Your donation could help purchase new lounge furniture. Your donation could help purchase a new kitchen stove or refrigerator.